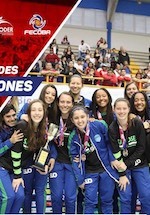 Coronado have been crowned Liga Abierta Femenina 2018 champions as they beat Santo Domingo. In the Final game they edged Santo Domingo. Earlier both teams finished on top of the Regular Season of the Liga Abierta Femenina. Later Santo Domingo and Coronado advance to the Final sweeping their semifinal clashes. 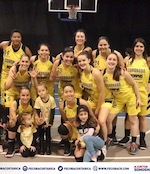 In game 1 Santo Domingo edged UCR 49-39. They posted a 52-50 win in game 2 to advance to the Final. Coronado meanwhile beat Goicoechea 56-36 in the opener. In game 2 they escaped with a narrow 57-55 win to reach the Finals. Santo Domingo and Coronado advance to the Final sweeping their semifinal clashes. In game 1 Santo Domingo edged UCR 49-39. They posted a 52-50 win last night to advance to the Final.